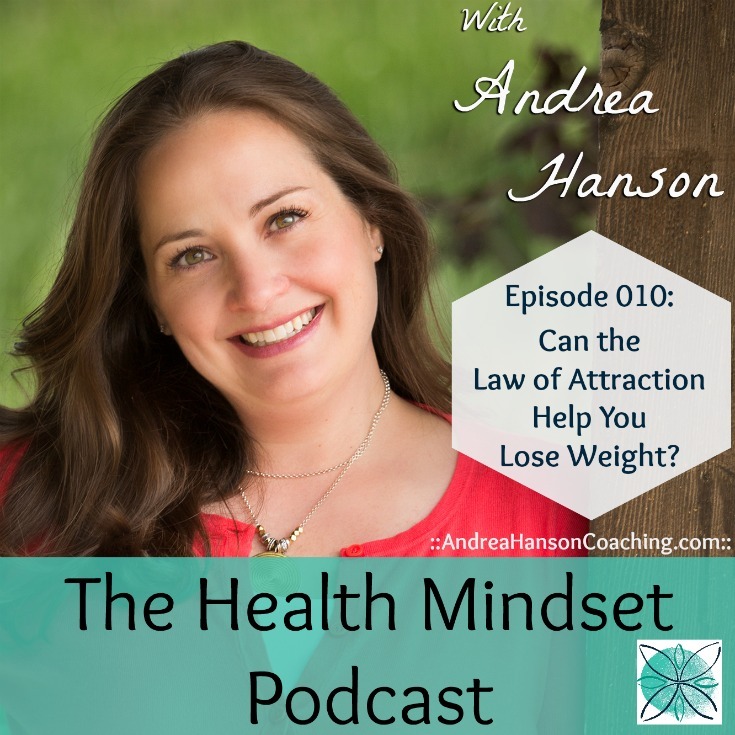 I’m celebrating this first podcast milestone by talking about something I practice every day for my health, but haven’t taught yet on this podcast – the Law of Attraction. This is a weight loss tool every bit as big as eating the right foods, working out, getting quality sleep and decreasing stress. If you’ve practiced it before in your life, you know how fast it works. But you may also know that the fun and games of attracting good parking spots can get tricky when you try apply them to get better health. Our health is the most personal topic of attraction there is. And we can get tripped up when we try to apply these principles to something so important as our weight loss and wellbeing. But you can – you must- and there is a way. I’ll talk about how on this week’s podcast. -How the Law of Attraction is tailor made to work with our brains. -The two core systems all humans have that tap into the practice of manifesting. -Two easy manifesting tools I use almost every day in my health and the direct results I see.